All monies used to provide TBF benefits form part of an unrestricted fund and the allocation of money to the memorials and bequests listed below is at the sole discretion of the Trustees. The Trustees may allocate money to or from these dedicated funds (which have no individual legal or financial identity). TBF will not accept donations or legacies unless they are capable of being used for the general purposes of the TBF, unless the intended donation or legacy has first been considered by the Trustees and their decision recorded. The Sandra Barr Memorial funds all our purchases of nebulisers and similar equipment. It was established in 2001 to commemorate the life and work of Sandra Barr, who worked for London Transport for seventeen years until her retirement on ill-health grounds in 1991. She was a TBF member. Despite her long-standing illness, Sandra devoted most of her time to helping people and animals. She was a leading activist in her trade union (the Transport Salaried Staffs' Association) and was elected to its national executive committee. She was very involved politically and campaigned on a wide range of community and animal rights issues. Following Sandra's untimely death in February, 2001 at the age of 49, it was the wish of her husband, John Dowdle, that this memorial be set up under TBF auspices. Funds for the memorial were raised through donations by her family and friends throughout Britain and Ireland, her neighbours in Watford, former London Transport workmates and trade union colleagues as well as Labour Party activists in the Watford and Greater London areas. Sandy would have heartily approved and she would have been pleased to think that she could go on helping others. The Issy Gold Memorial is used to relieve need, hardship or distress among beneficiaries who have retired from London Transport or its successors. It is named in memory of Issy Gold, who was Secretary of the London Transport Benevolent Fund (LTBF) from 1962 to 1985. During his time at the helm, the LTBF consolidated its position at the forefront of employer benevolence organisations. Issy was instrumental in developing Kenbrook (London Transport's former residential home at Wembley) and improving facilities at Philbeach (London Transport's former convalescent home in Hythe, Kent), as well as increasing the benefits available to members. These initiatives raised the standing of London Transport to a very high level among other transport operators and benevolent organisations. Indeed, his willingness to help people from all areas of the London Transport “family”, led to Issy’s name becoming synonymous with the LTBF. After his retirement, Issy Gold was made an MBE (Member of the Most Excellent Order of the British Empire) for services to the community and he continued his public works as a magistrate. He died in 2005. 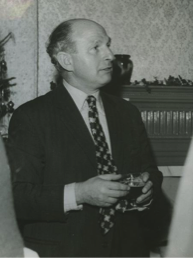 Issy was also actively involved in the Transport Salaried Staffs' Association (his trade union), at his synagogue and in helping to establish youth clubs in several parts of London. This memorial was funded by a number of sources; the main ones being the London Transport Retired Staff Association (South West Area) and donations in memory of TBF beneficiary, Bert Davis. 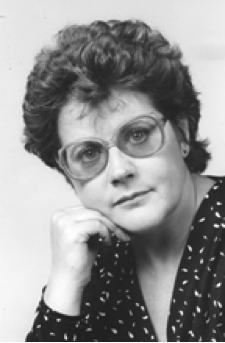 Issy played a leading part in setting up the Retired Staff Association many years earlier. Our image is ©London Transport Museum. The Roy Cartlidge Memorial was established in May, 2012 to help railway workers in the Crewe area, using money donated by local people. A former Babcock Rail employee and active member of his union - RMT, Cllr Roy Cartlidge promoted a number of events to raise money for charities during his year as Mayor of Crewe. Money in this memorial remains part of the overall TBF assets but it has been earmarked to reflect the fact that it was given by the people of Crewe. It will be used to help existing or retired railway workers (whether or not they are members of TBF) who have lived or worked in the CW1, CW2 and CW3 postcode areas, as well as their dependants. 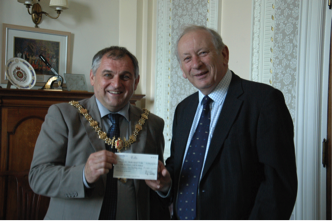 Our picture shows Cllr Cartlidge on his final day as Mayor of Crewe presenting the cheque forming the basis of the memorial to Chris Godbold, Director of TBF (1993 to 2014). The Arthur and Rose Hollingsworth Memorial is used to help public transport employees (or their dependants) who have been intimately involved in a fatal incident at work. It is not restricted to TBF members. We can help dependants of staff who are fatally injured themselves, staff who fatally injure another person in the course of their duty or staff who are personally involved in the recovery of the body of a person fatally injured as a result of the operation of public transport services. Those personally involved in such fatalities may encounter a number of issues as a result and TBF is ready to consider granting a spell of convalescence (perhaps for the whole family), counselling (if not provided by the employer) or other appropriate help. There are few more devastating aspects to working in public transport than dealing with fatalities and those involved should feel free to contact us to see how we may be able to help. Money for this memorial came from two sources. The initial grant came from Metronet Rail, which was at the time a contractor to London Underground. However, the bulk of the money was provided in the Will of the late Rose Hollingsworth, widow of former member Arthur Hollingsworth, who had retired from London Transport some years earlier. Arthur was a TBF representative during his working life. The legacy from Mrs Hollingsworth was sufficiently large that it augmented two other memorials – the Sandra Barr Memorial and the Issy Gold Memorial – as well as helping the general work of TBF. It was agreed to honour Mr and Mrs Hollingsworth by re-naming the fund for those involved in fatalities after them. "Your help and understanding is very much appreciated. The people I spoke to were so helpful, pleasant and very easy to talk to".